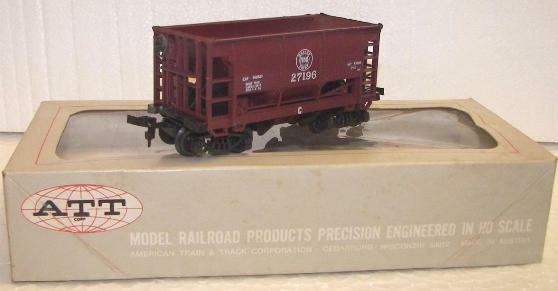 ATT listed the 3 Pack Ore Cars offering with a $5.98 retail price in the 1969-70 catalog. 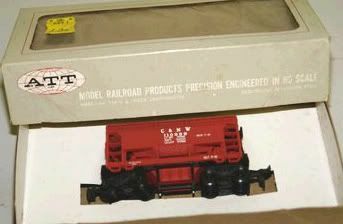 A dozen assorted Ore Cars was sold under the ATT stock number of 400 with a $24 price, according to the company's 1969-70 catalog. 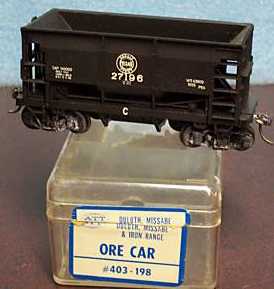 Individual Ore Cars were priced at $2 each. The ATT 1969-70 catalog includes four roadnames (GN, DM&IR, NP, and B&LE). This car's stock numbers begin at 400, which is the starting point of American Train & Track's freight car line by the numbers. 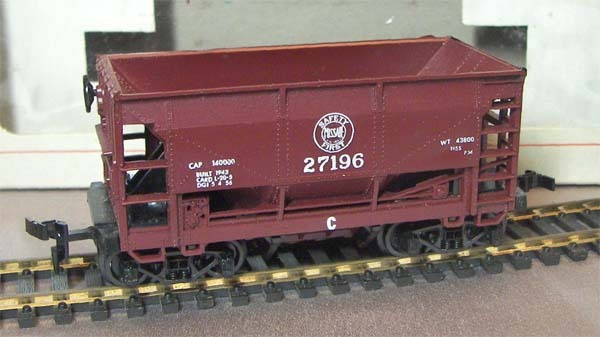 Produced for American Train & Track by Roco in Austria, this Ore Car would continue the HO-scale train market long after AT&T departed. AHM imported this same Roco-made Ore Car and it has also found itself in Model Power boxes over the years. Most recently, IHC has offered an Ore Car that appears to be the same tooling or at least strongly based on this original.